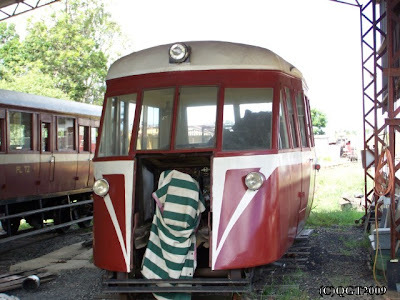 is of great historic significance to the former Central Division of Queensland Railways. locomotive sat in its shed while the railmotor was pressed into service. 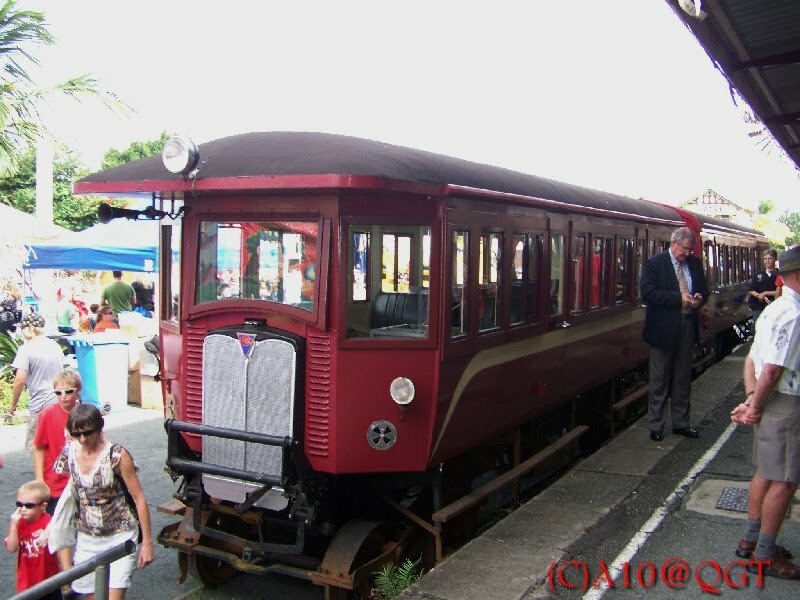 Operational RM55 entered service as a 34 kW (45 hp) AEC Car in 1930. It was subsequently given an enclosed body and a 38 kW (50hp) 4 cylinder Gardner diesel engine. It was withdrawn from service and condemned in 1966 and was originally to be included in the Redbank Museum. 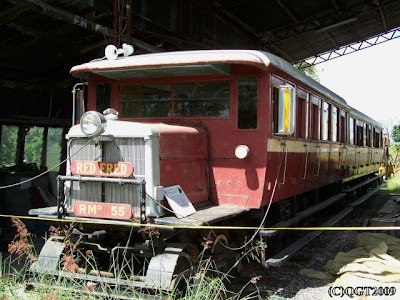 RM55 was stripped for restoration for the Beenleigh Vintage Railway (forerunner of the Rosewood Railway Museum). This work was completed by Society members during 1983-1984, and it was used for mainline excursions until 1989. "Red Fred" and trailer PL72 were transported to Kunkula in July 1990. Phil Smith did much of the restoration of PL72 while the vehicle was on site at the back of the Redbank Museum. 76 Mary Valley Heritage Railway Operational RM 76 traditionally ran the Brooloo line to Gympie providing a daily link to the town for shopping, the transportation of goods and a means for children to get to school. The present owners of RM76 and PL 127 is Bellarine Pennisular Railway in Victoria. This organisation initially leased the units to Beaudesert Rail who had ambitions of restoring both units. The units were partly resorted by Beaudesert Rail before it folded, which gave MVHR the opportunity to lease them. 93 Gulflander Operational RM 93 is the present Gulflander and is a 102 horsepower Gardner diesel engined railmotor built at Ipswich Railway Workshops in 1950. Throughout its career it worked in the former Southern and Norther Divisions of the QR network. RM 93 was converted to the General Manager's Inspection Car for the Central Division in 1972. It was then modifed back to full railmotor seating capacity in 1981, and arrived in Normanton in 1982, the name Gulflander ws painted on the sides by 1987.